A laser light projected into two samples of the same used heat transfer fluid. The unfiltered oil on the left lets no light through; the filtered oil on the right does. 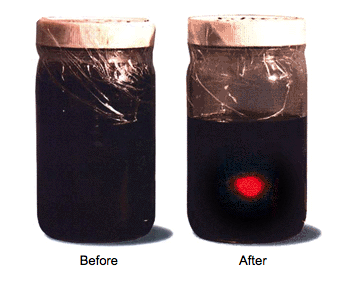 Proper filtration has improved the oil’s viscosity, heat transfer efficency and reduced the particle count.